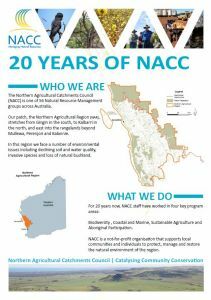 In 2017 NACC celebrated its 20th anniversary and we looked back on some of the incredible achievements over the past two decades. 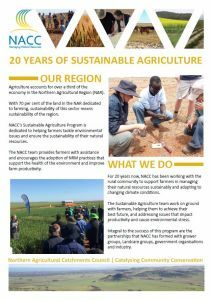 Five fact sheets were developed to commemorate the milestone. 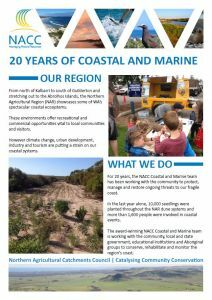 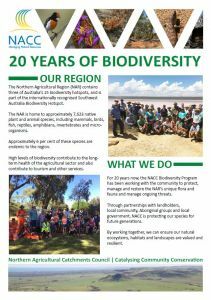 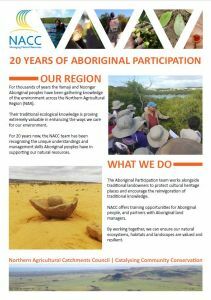 One is a general overview of the organisation and a sheet for each of our four main programs – Biodiversity, Sustainable Agriculture, Coastal and Marine and Aboriginal Participation.